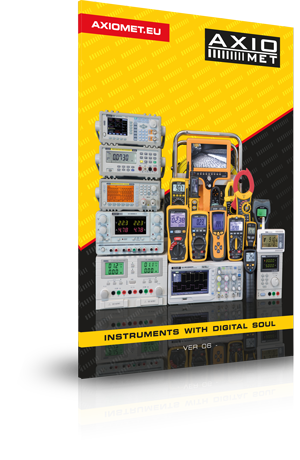 Axiomet offer includes a wide range of portable analogue and digital multimeters. Apart from standard functions, such as measurement of voltage, current, frequency or resistance, individual models also allow to measure inductance, dBm, and even illuminance or sound level. Thanks to this, Axiomet multimeters are a perfect solution for technicians and engineers who look for measuring equipment for their company or workshop. In April you can buy AXIOMET portable multimeters up to 20% cheaper*. *The special offer does not combine with any other discount. Valid between 01 and 30 April 2019.